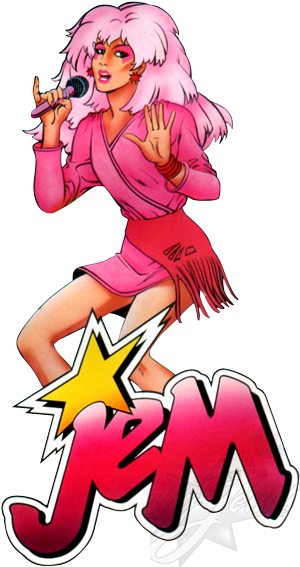 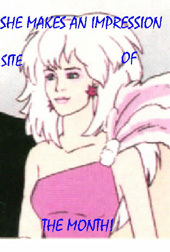 On the eve of the October Jem Movie release/30th Anniversary of Jem, it sees that the Jem presents was a little under whelming. 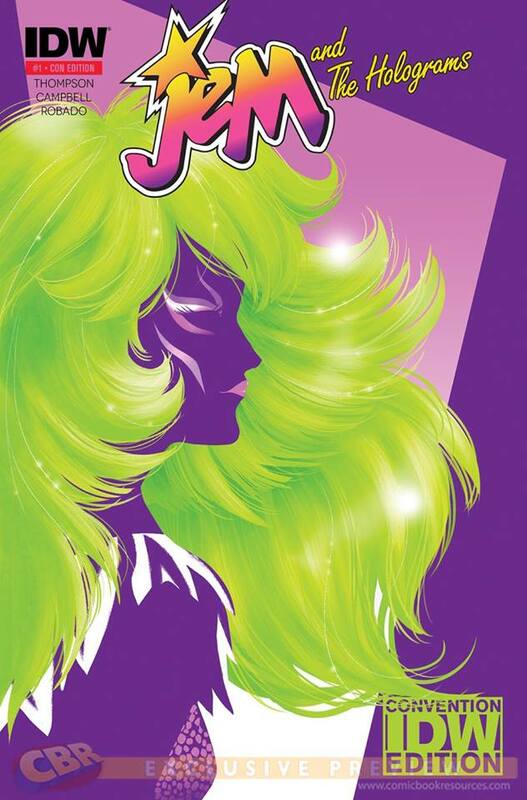 They were giving away free movie poster and Jem movie related tattoos, but that was about it. 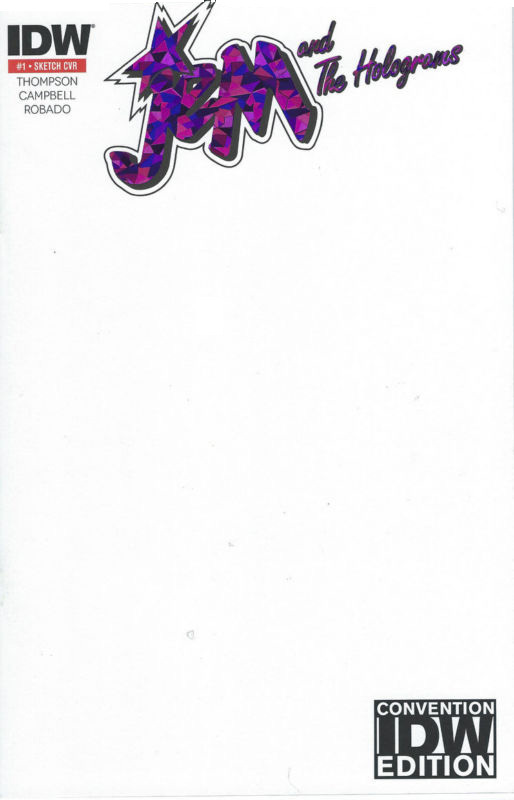 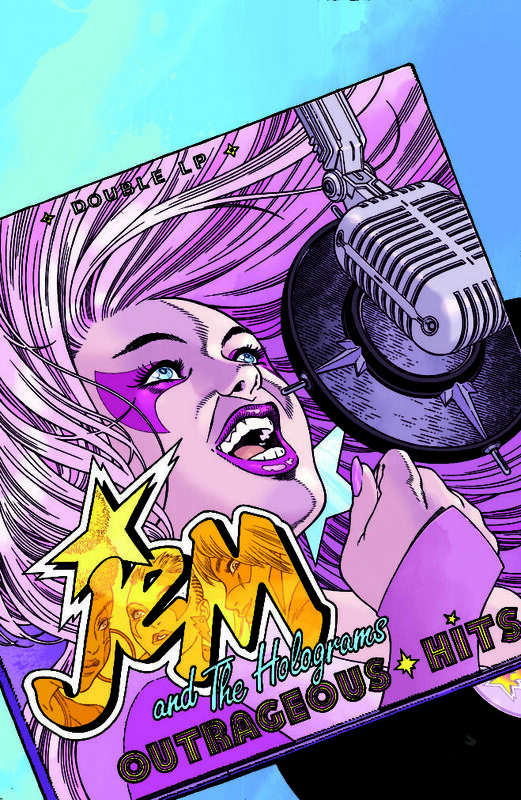 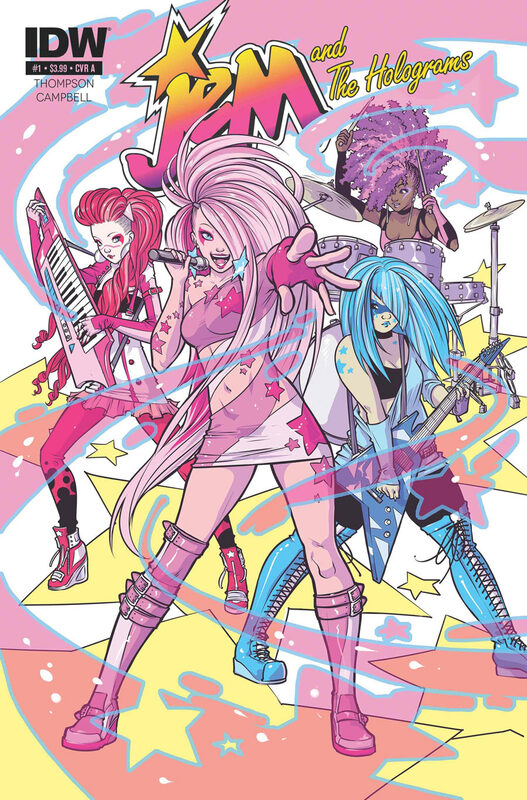 IDW took center stage at SDCC with the comic books, there was an exclusive Pizzazz cover by Amy Mebberson of Jem and the Holograms #1 and a blank #1 to have sketch/signatures of the comic artist and even Samantha Newark (speaking voice of 80’s Jem). 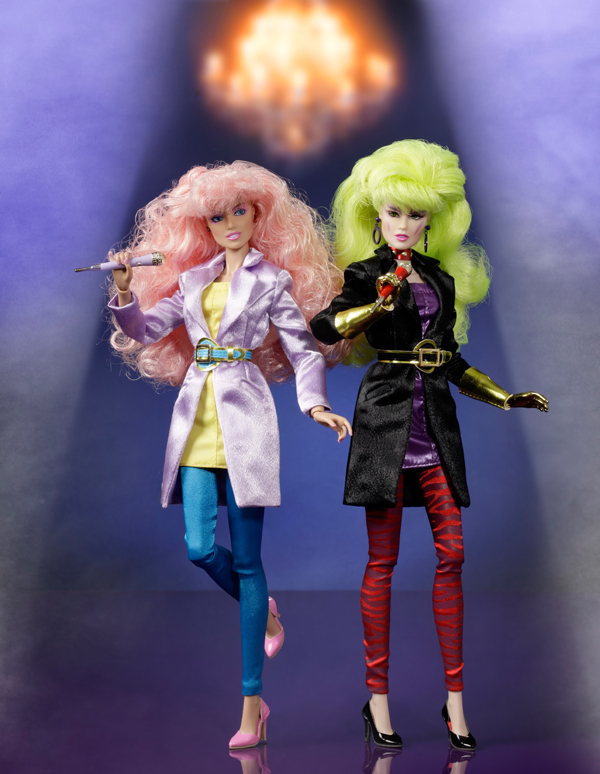 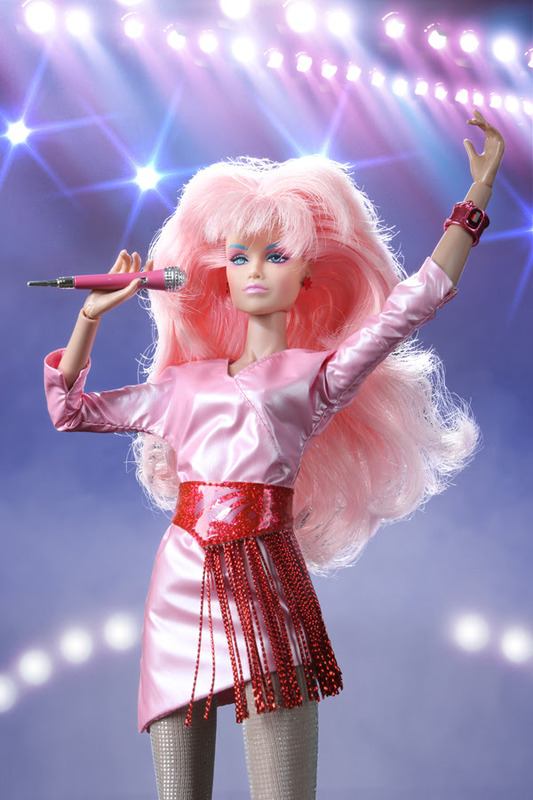 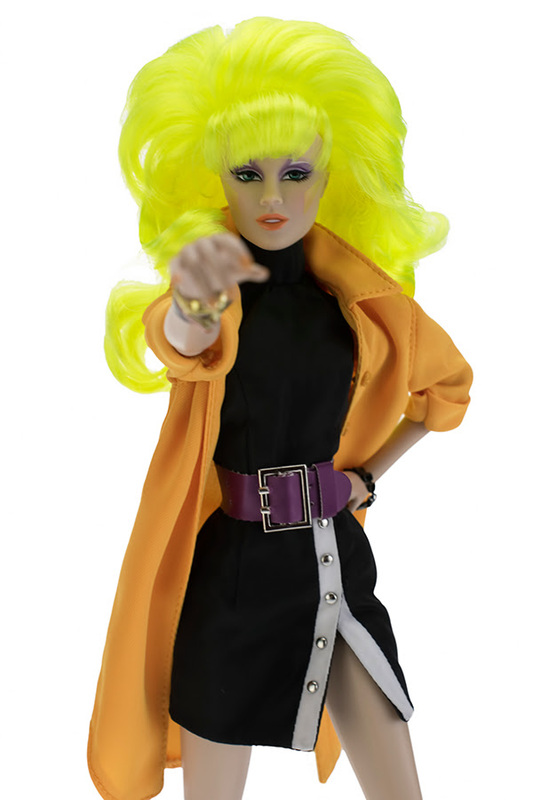 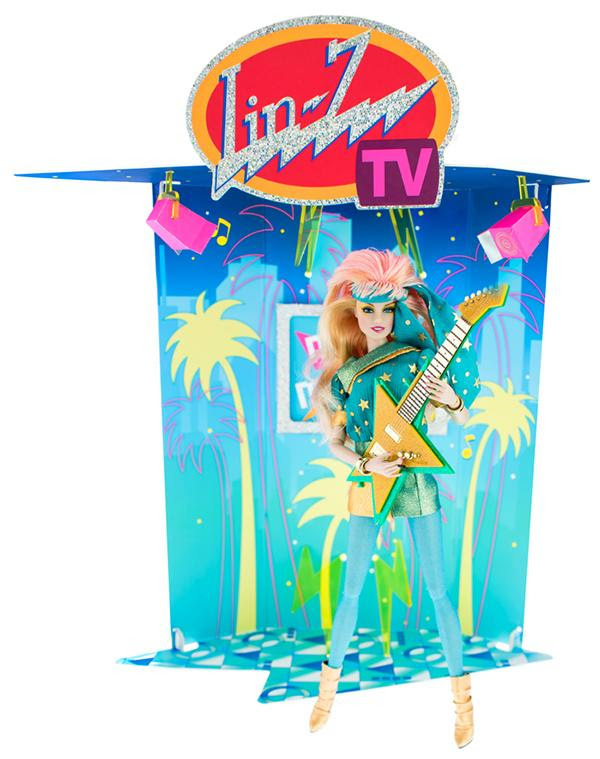 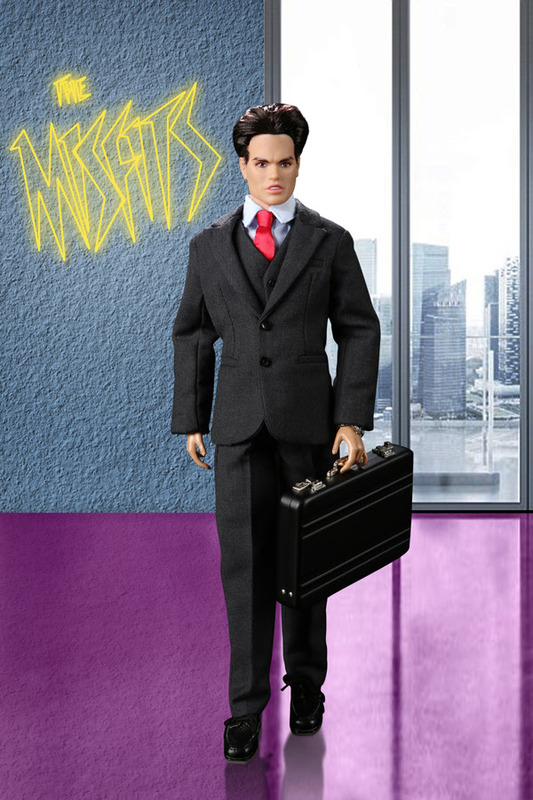 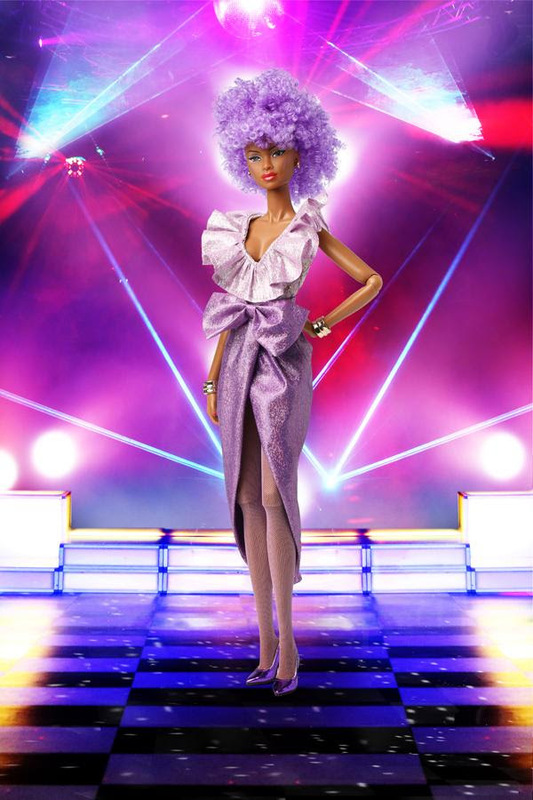 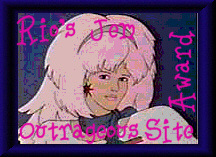 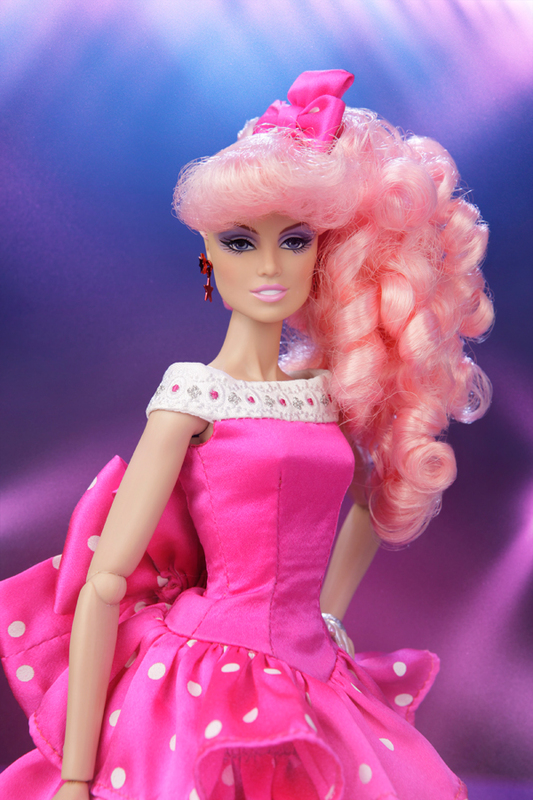 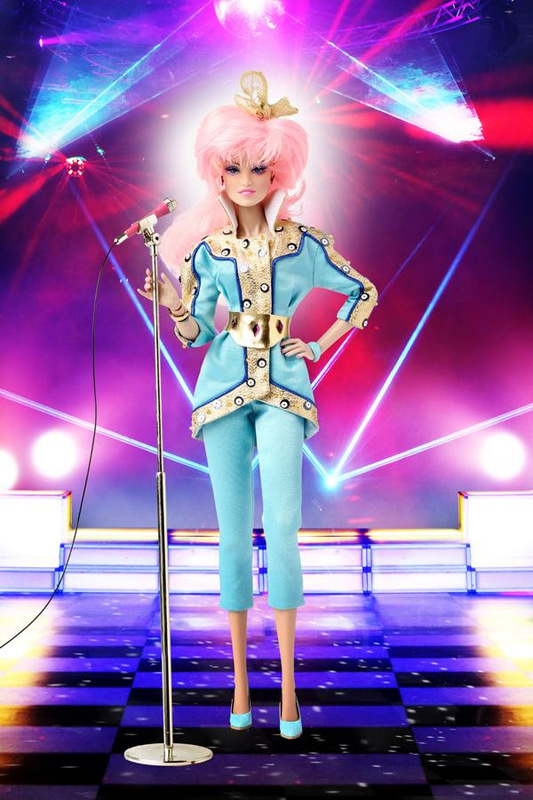 Hasbro was selling their 4th Integrity Toys Jem and the Holograms San Diego Comic Con exclusive. 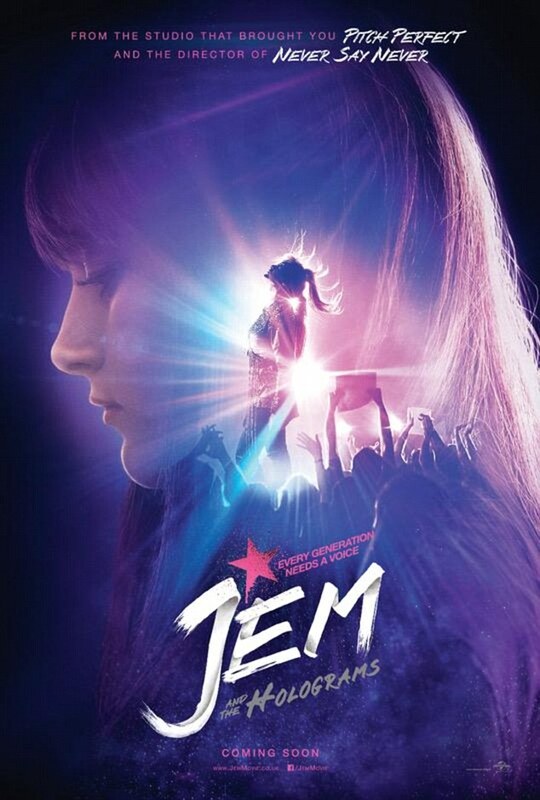 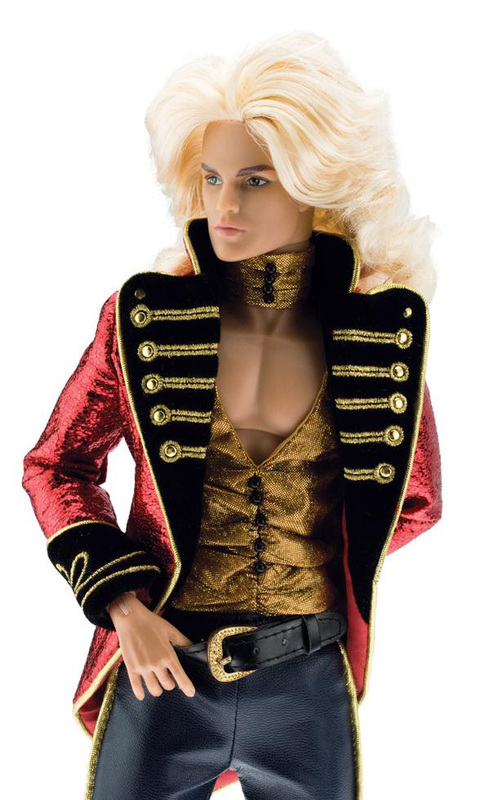 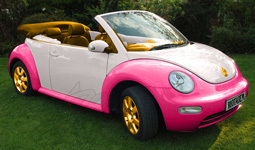 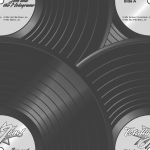 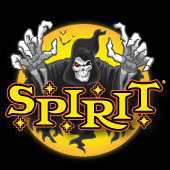 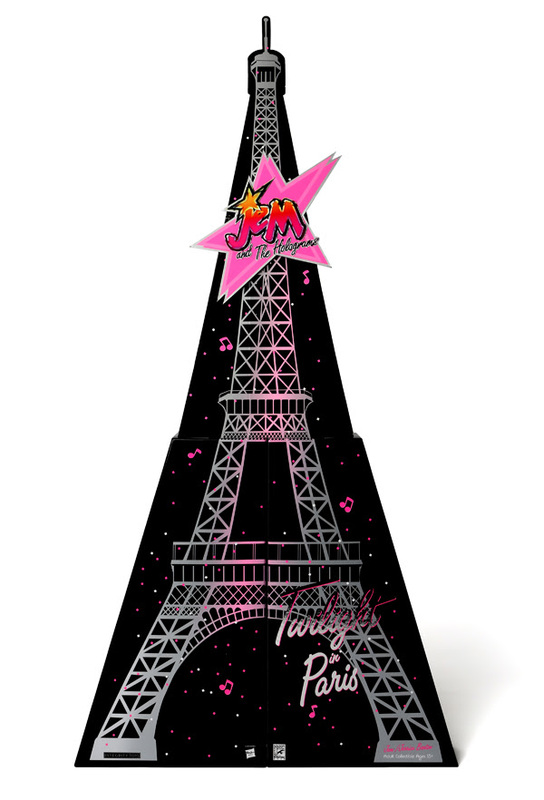 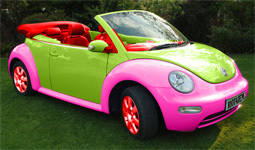 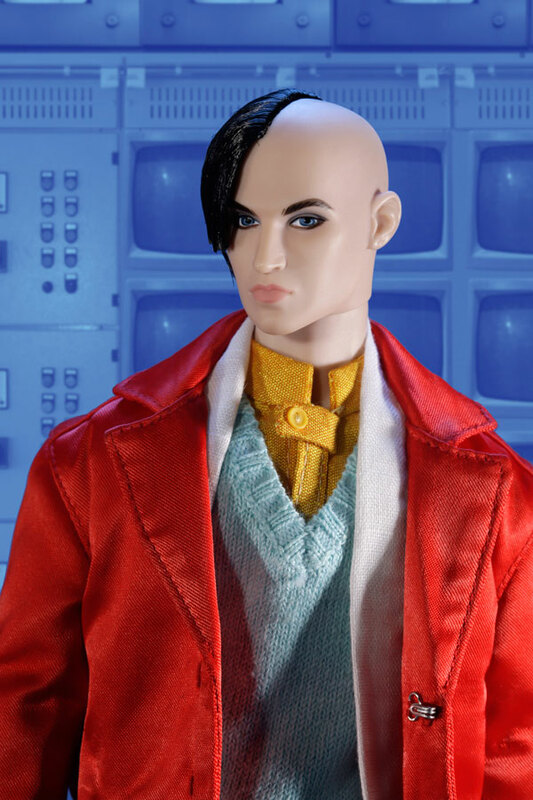 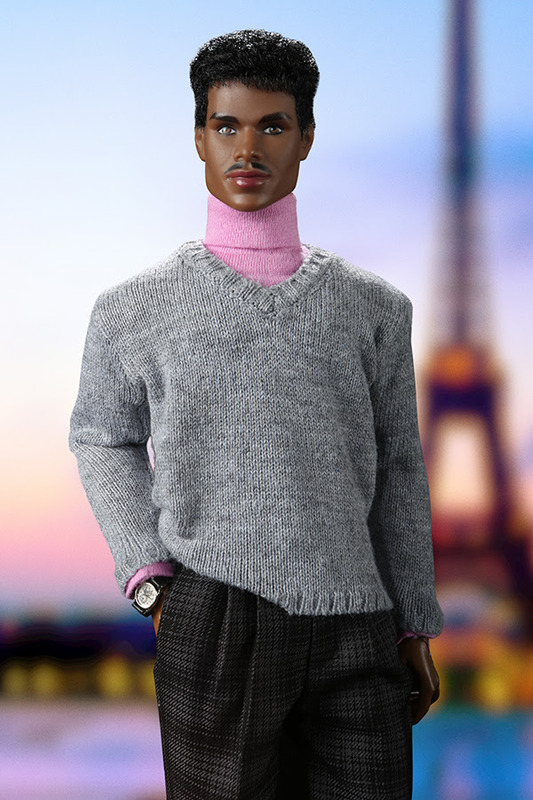 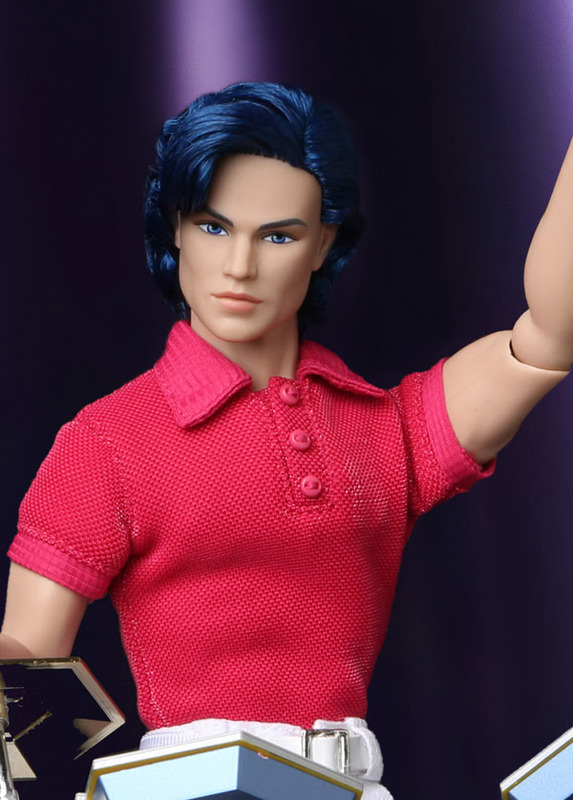 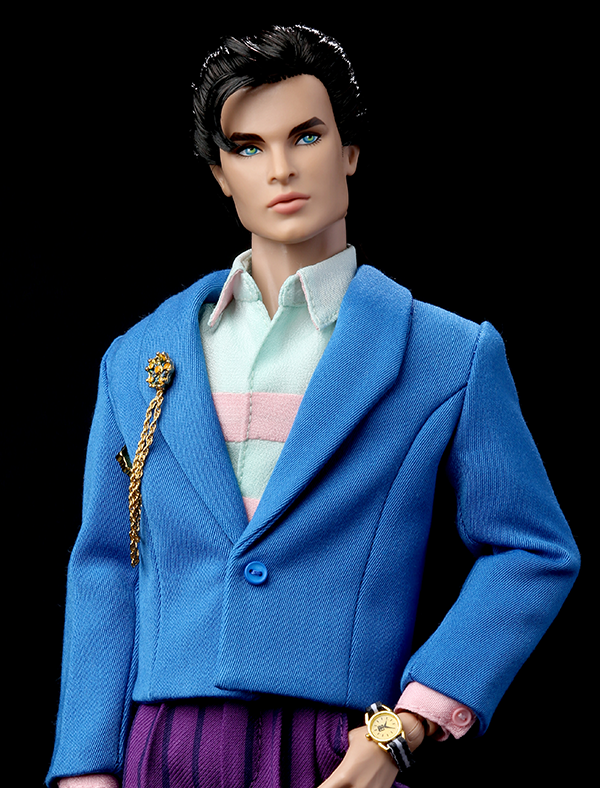 And it is the biggest and best yet … this year it was Twilight In Paris Jem/Jerrican Benton. 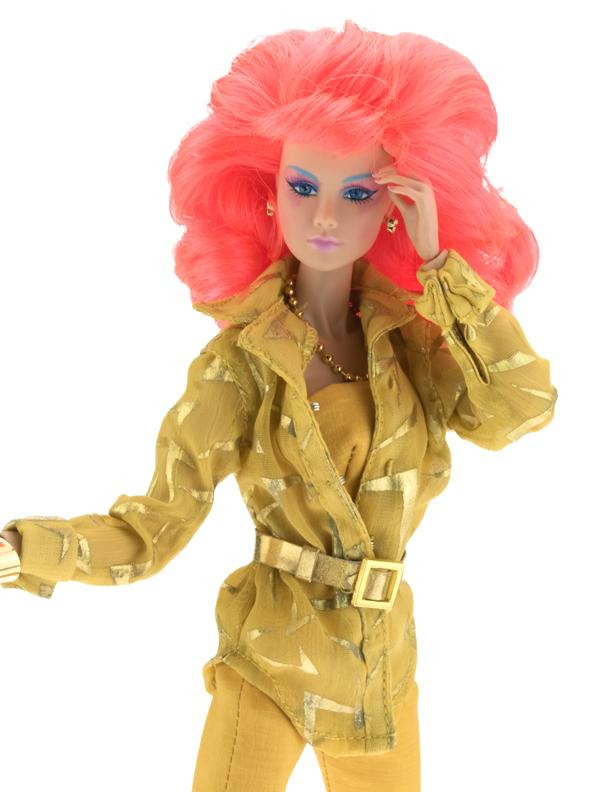 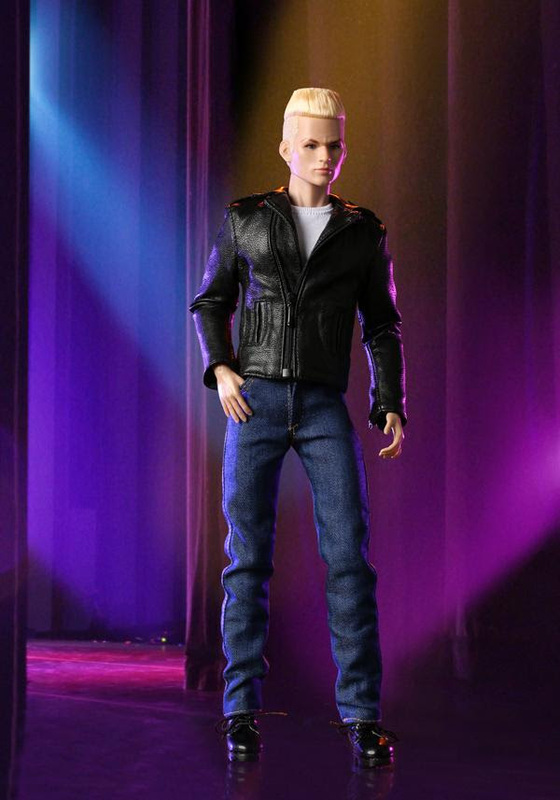 They used one the more popular and iconic fashions from the cartoon, which was also Hasbro Flip Side Fashion “Like a Dream™” 4237/4045. 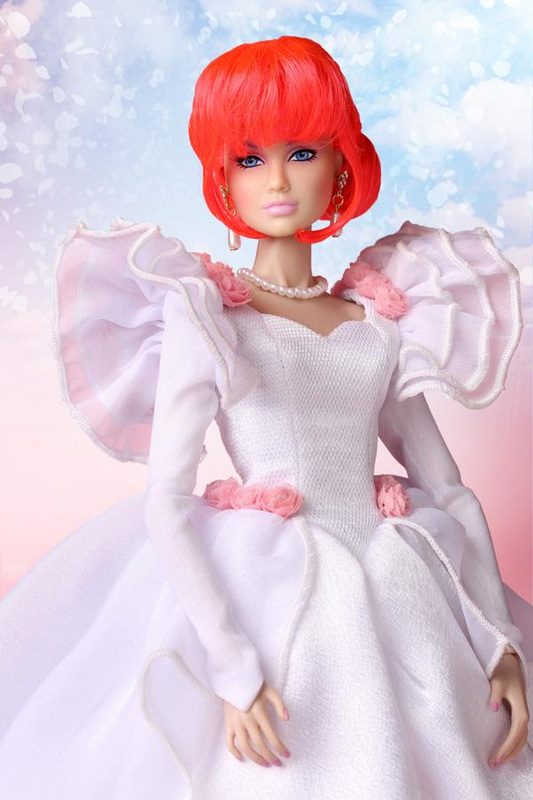 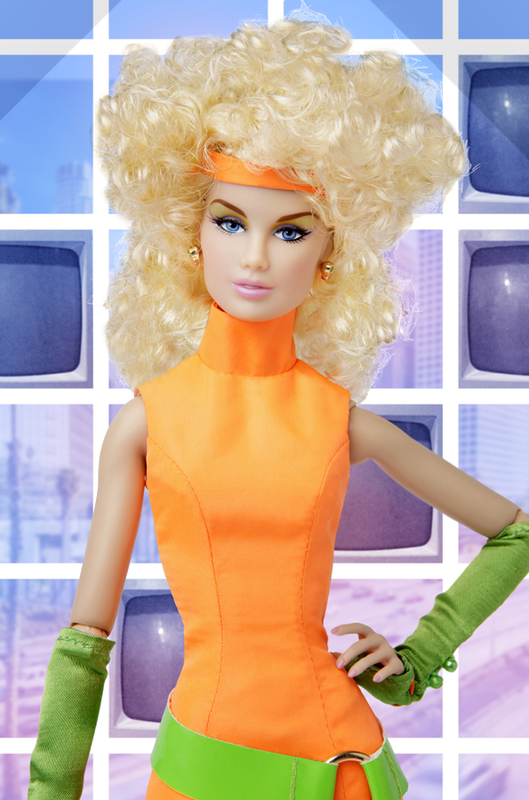 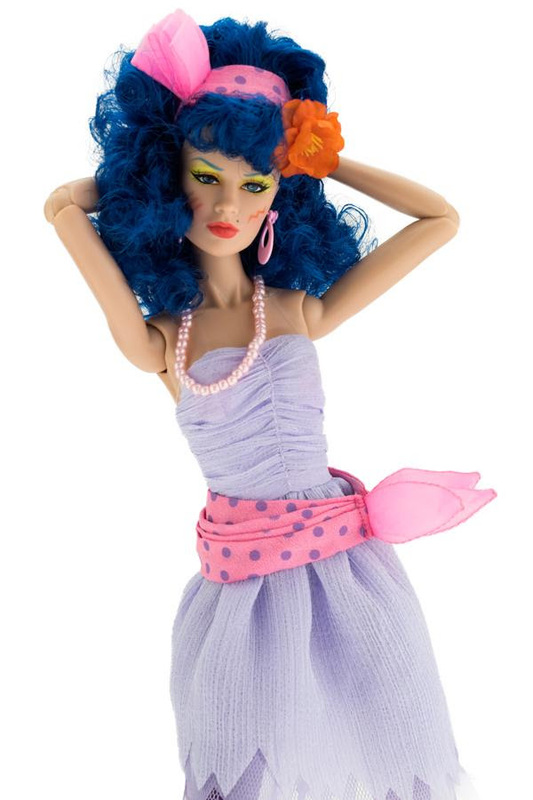 Besides being the 2nd Jem/Jerrica released as SDCC exclusive, she was released with a separate Jerrica head. 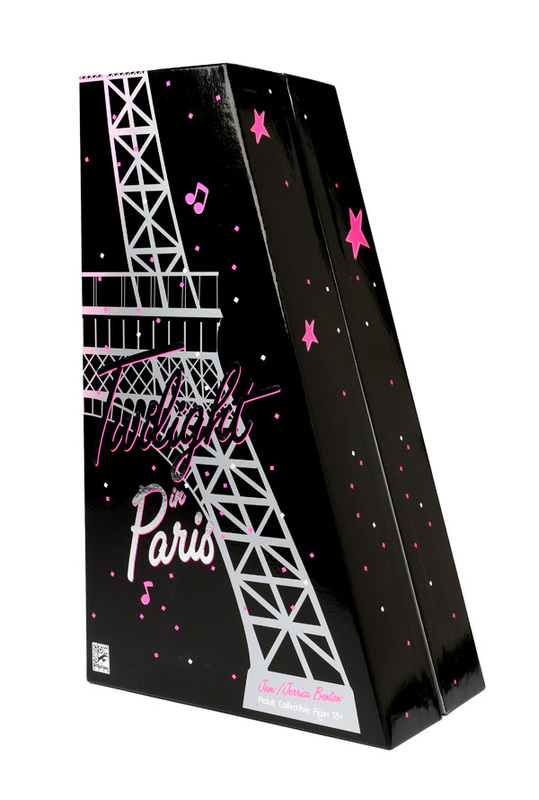 The box is shaped like the Eiffel Tower in Paris France, the bottom half folds to hold the doll and it includes an insert to complete the tower. 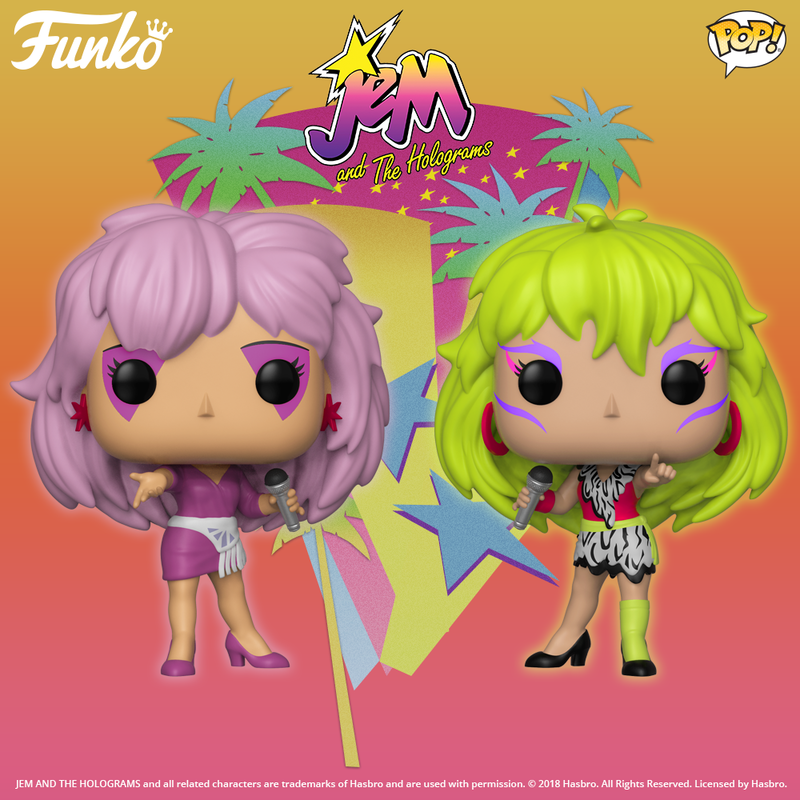 For those who did not appreciate the retro box from last year, which I loved the retro box, this box/doll should more than make up the difference.